Summer – the season for fun and vacation — is upon us. If going to amusement parks, museums, and national parks are on your agenda, most offer discounts to active and retired military and their families! Bear in mind, while you’d think you could obtain that savings at the ticket window, many discounts are only available through the ITT/MWR base offices. AHRN.com has done the footwork in researching several of the main attractions for you, so you can have that much more time for good old R&R! The Armed Forces Salute Policy, good through October 2015, gives all kinds of special offers on various dates, so the best thing is to just follow the hyperlink we’ve provided to search for discounts based on which park you’re going to and when. Disney also offers some rooms at 30-40% off the normal rates. Book early as you can as there is a limited number of reduced-fee rooms (and there can be minimum stay requirements for them). Discounts from tickets to rooms are subject to black-out dates. Through the SeaWorld Parks and Entertainment program “Waves of Honor,” military members can receive one complimentary admission per year to either SeaWorld, Busch Gardens, Adventure Island, Water Country USA, Sesame Place or weekdays at Aquatica San Diego. Register online or buy tickets at the park. Some or all of the Six Flag parks around the country — Great Adventure, Great America, Discovery Kingdom, Magic Mountain and Fiesta Texas — offer military discounts, either as 20% off or free day passes. Most if not all have to be bought through the MWR/ITR offices. You would have to Google the specific location you are visiting to that park’s specific offering. A FREE annual pass to over 2.000 federal recreation sites is available to U.S. military members and dependents in the Army, Navy, Air Force, Marines and Coast Guard and also, Reserve and National Guard members. A pass covers entrance and standard amenity fees for a driver and all passengers in a personal vehicle. These passes must be obtained in person at a Federal recreation site by showing a Common Access Card (CAC) or Military ID (Form 1173). Offers a $3.00 discount to active and retired MM’s with a valid ID. They also have specials like free admittance when they do specials on holidays Memorial Day weekend or Veterans Day. $1 off in most locations. Call ahead to ask at your intended theater. With parks and discovery centers through the US and Canada as well as in Dubai, Germany, England, Denmark, Japan and Malaysia! They offer Military Appreciation Days, which is usually one free admission and discounts for family members who are with you. Check the website of the specific site you want to visit for details or added special offers. Over 2,000 museums extend discounts and special offers to the military. Just call or get online to find out if the one you’re going to visit offers a discount. Be sure to ask if they are offered only in advance or at the on-site ticket booth. U.S. Active Duty military receive $4 off regular admission when presenting a valid military photo I.D. at the Visitor Complex ticket windows and a 10% discount on merchandise and food when presenting a valid military I.D. inside the Visitor Complex. 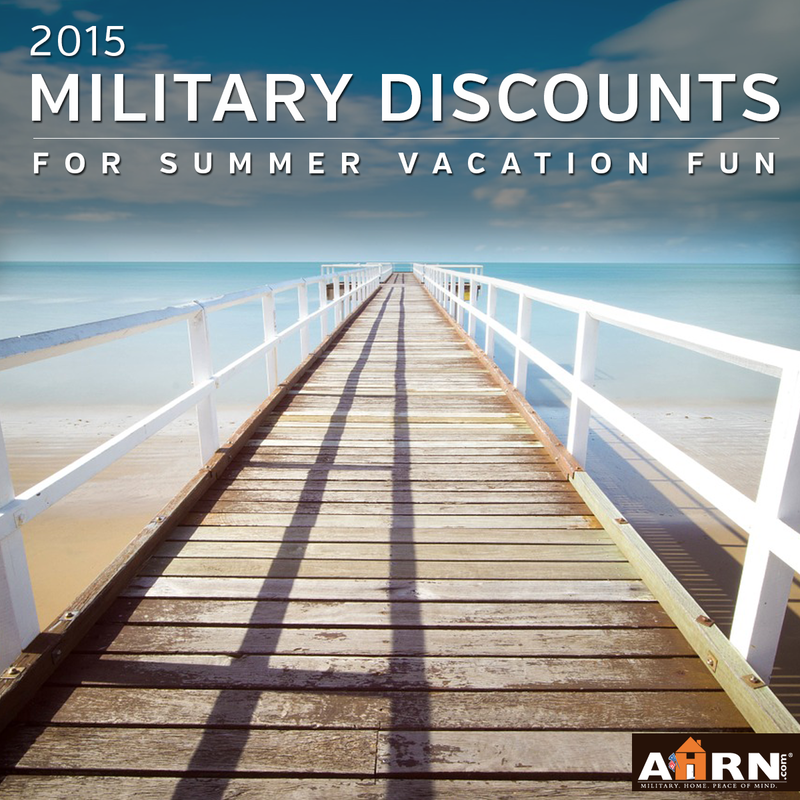 Active Duty, reserve and retired alike can purchase discounted tickets at ITT/MWR offices. Zoo’s also offer military discounts. There are so many, it’s best to Google the one(s) you’re interested in going to and calling if you can’t find the discount information readily on their websites. 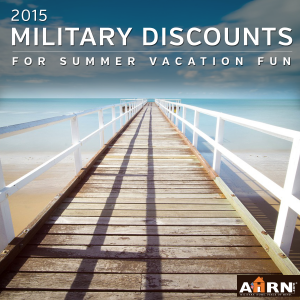 When it comes to transportation and accommodations, you can also find many discounts extended to military members and their families. It’s best to call or email if you don’t find information on their websites to see. We have listed just a few. 10% year–round discount added to any existing promotional rate for all U.S. and Canada Military personnel to include Active or spouse, Retired, Reserves, U.S. National Guard, U.S. Veterans, U.S. Department of Defense and Canada Department of National Defense. Proof of Military ID (US/Canada), discharge certificate (U.S.) required upon check–in. Now offering an additional 10% off at their resorts and beaches. Get up to $250 off Princess Cruises, and from Norwegian gives 10% off select cruises (just look for the red A icon when you search their site). For both you need your military ID to embark. Disney Cruise Lines offers special rates at times, usually 30-60 days out from their scheduled cruises. Check their site frequently or register for email updates. Amtrak on it’s own it offers 10% off but it seems you can get 15% off if you go through some Military sites, like VeteransAdvantage.com or Military.com. Active duty and retired military personnel and their dependent family members may receive a 10% discount off the Greyhound walk-up (unrestricted) fare. Another option for military personnel is to travel on Greyhound for a maximum fare of $259 round trip anywhere in the continental United States. These are just a small sampling of the places that offer special prices to those who serve, and have served, our country. Wherever you’re going, get on their website to search for military discounts or Google the name of the place + Military discounts + the year, which is key. If you don’t put in 2015, you may pull up expired information, and that would not be good to discover once you’re at the gates! Another reason to check the websites directly is that places like Disney offer only select cruises with military discounts. Others have special military offers but more at times like Memorial Day weekend, Veterans Day and 4th of July. And check out our blog post on Apps and Tips that will make your summer road trips easier, especially if you’re traveling with kids! Enjoy your summer fun!